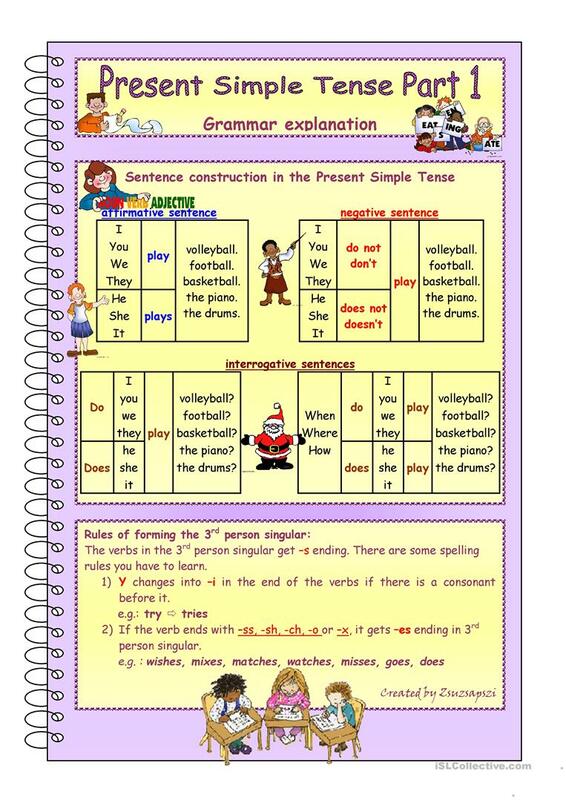 This grammar-guide helps you to teach the Present Simple Tense. I collected the formation, the signal words, the spelling rules, and the rules when to use this tense. There are parts which are for intermediate ss. The spiral notebook style is from Philip Roeland. The cliparts are from Philip Martin. Thanks a lot for sharing it. Hope you find it useful. This printable, downloadable handout is recommended for high school students and elementary school students at Elementary (A1) and Pre-intermediate (A2) level. 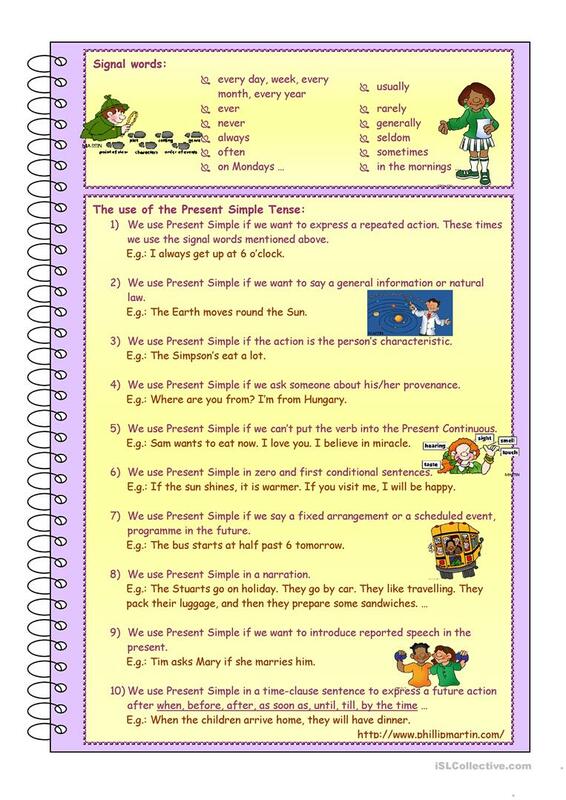 It is great for revising Present simple tense in English. It includes the answers, too.